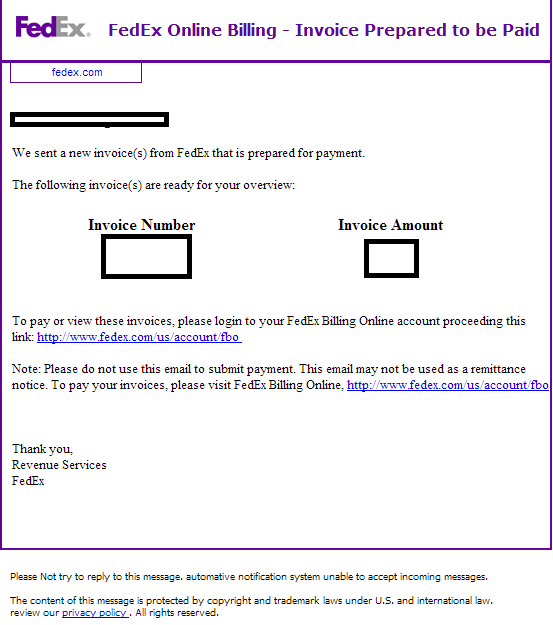 Users of FedEx’s Online Billing service, watch out! Cybercriminals are currently mass mailing tens of thousands of emails impersonating the company, in an attempt to trick its customers into clicking on exploits and malware dropping links found in the legitimate-looking emails. Sample malicious payload dropping URL: hxxp://vespaboise.net/detects/invoice_overview.php? Upon successful client-side exploitation, the FedEx themed campaign drops MD5: c2f72ff5b0cf4dec4ce33e4cc65796b1 – detected by 22 out of 46 antivirus scanners as PWS:Win32/Zbot.gen!AM.